Why not get your Dream Car? Our Working Person’s Auto Loan Program designed for you. Members Choice Federal Credit Union offers a wide variety of convenient loans. Since we’re a not-for-profit financial institution, our rates are always competitive. Interest is charged only on the unpaid balance and there is no prepayment penalty for paying off your balance early. The menu to the left highlights many of the different loans that are available. Our goal is to find out what works best for you. We believe in helping you make a quality, dependable loan with no last minute surprises. Many people know to call us first. Since 1935 we’ve been successful in taking great care of Central Texans by doing the right things for the right reasons. Funny how that works, eh?  You may fill out a loan application online or print it by clicking here. For Real Estate Application, please click on the Real Estate tab to the left. You may bring the printed application to one of our convenient locations or fax the completed application to 254-776-1218. If you live, work, worship or study in McLennan, Bosque, Coryell, Falls, Hill, Limestone, Milam or Robertson Counties in Central Texas then you may become a member by depositing $5 into a share account. Interest rates are based on your approved credit and your past credit performance with Members Choice of Central Texas Federal Credit Union and other creditors. Rates are subject to change. Please call the numbers below if you have any questions whatsoever. Have you priced your debt lately? Have you asked about refinancing your car or home loan? You should! What about those credit card balances? We offer complimentary loan evaluations for all members. In today’s economic climate it’s best to get information before you make a decision.